Like oasis is to a deranged traveler in a desert, public WiFi is to people who are constantly on the move and need to get things done. While having easy access to public WiFi networks is convenient, it can put your data at risk of being snooped by attackers, simply because such networks are often not secured. 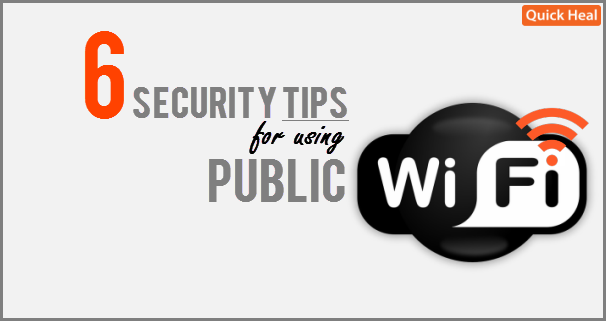 Below we have listed 6 security tips for using public WiFi. It is probable that you will login into your online accounts for your work or otherwise. So, for such activities where you need to use your login ID and passwords, use a virtual private network (VPN). VPN is a technology, when used, encrypts all your data that you transfer over the Internet. This keeps your information hidden and unusable for anyone who may pry on your personal or financial information. VPN is available both for laptops and mobile devices. It is strongly recommended to avoid visiting websites where you have to share sensitive information such as login ID passwords, banking details, etc. 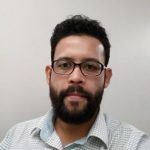 However, if you should, then always ensure that the site has a secure connection. This you can determine by looking for the prefix ‘https’ at the start of the site’s URL, accompanied by a lock symbol, usually green. But be informed that merely having these two does not always guarantee that the site is safe. So, do consider using a VPN in this case too, just to be on a safer side. Laptops and mobile phones have a feature that connects them automatically to free WiFi networks whenever available in an area. Having this feature turned ON could invite trouble because you may not be actually using any WiFi yet your device will remain connected. This will not only drain unnecessary battery juice, but also increase your risk of being attacked by a hacker who could be loitering around looking for a victim. So, whether it is a laptop, tablet or a smartphone, know how to disable automatic WiFi connection. While following all the tips above will keep you in a safe spot, it does not hurt to have a reliable security software installed on your laptop and mobile device. This software will act as a useful tool in defending your computer and its data from malware and virus that may breach your system without your knowledge. When you are done, always log out. Also, it is important to avoid checking ‘Remember me’, ‘Remember password’, ’Keep me logged in’ boxes. To sum up this short piece on 6 security tips for using public WiFi, as far as possible, avoid banking or shopping online on unsecured public WiFi networks. These activities involve the disclosure of your personal and financial information, and getting them exposed to a hacker can be a nightmare. Stay safe. Previous postHow reliable are sandbox gateway appliances? Please tell me how we can create a VPN network on my smartphone and how can we use it. You will need to Google this or watch a YouTube video on the same. The VPN feature is available in the Settings section on Android devices. You can also chat with our engineers about how to set this up here – http://bit.ly/QHSupport or you can submit a ticket and request a callback here – http://bit.ly/Askus. VPN is virtual private network there are any tools on internet which helps to create vpn eg.psiphon is one of the best tool ever i know. There is one issue in public wifi network that someone can fetch your whatsapp mobile number or your email address by some tricks. Turn off network settings like sharing of files, printers or remote login from other computers on the network when you are on public network as these can be accessed by anyone. No hacker is required for using the wifi network. VPN is an awesome technology currently I am using VPN for security.